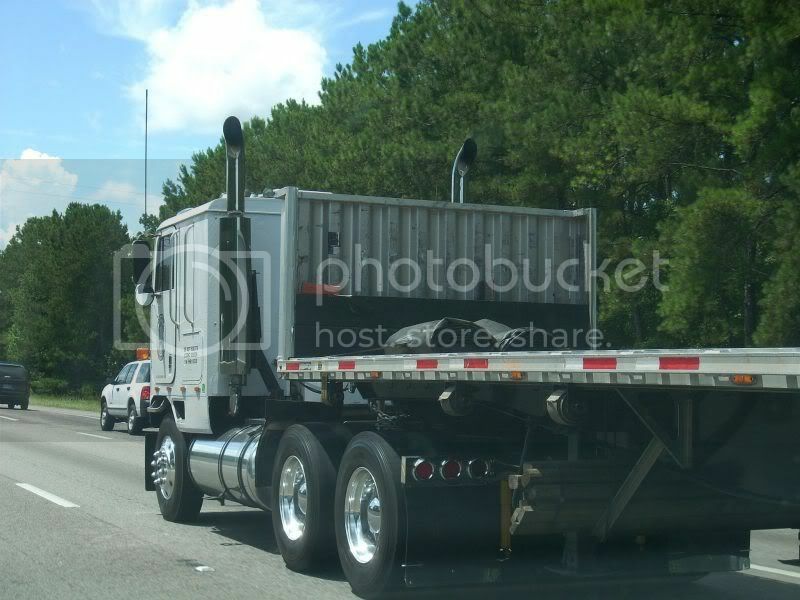 I saw this sharp International COE headed east towards Charleston on I-26. 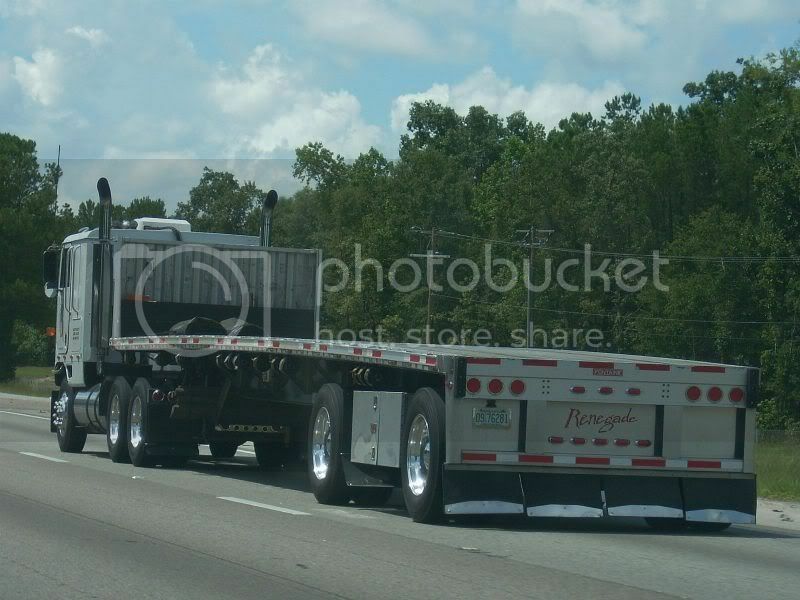 He was pulling a nice aluminum flat with polished wheels but I couldn't shoot the whole rig due to traffic. A good hour and a half later after I got turned around and headed back, just as I was pulling into the opposite rest area, he was heading out. I managed to catch up and shoot the whole rig from the back. 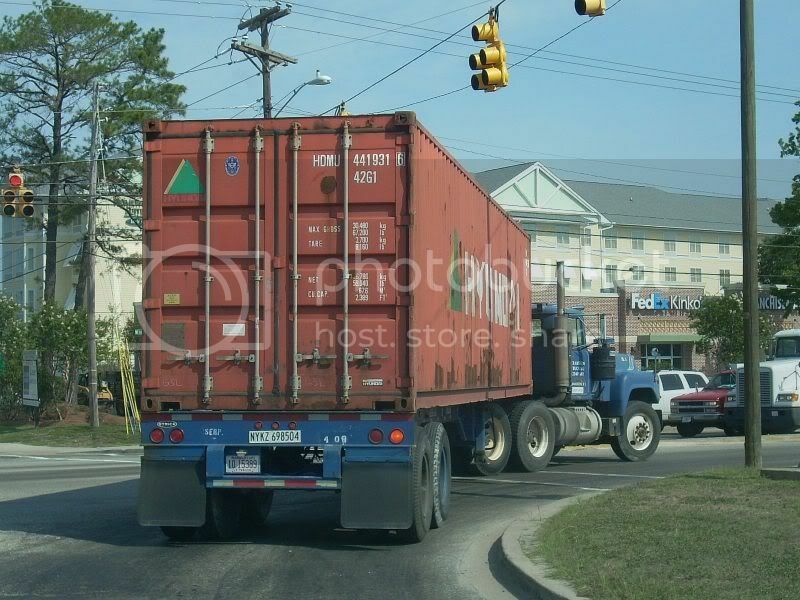 He was running for a trucking company out of Glen Burnie, Maryland. 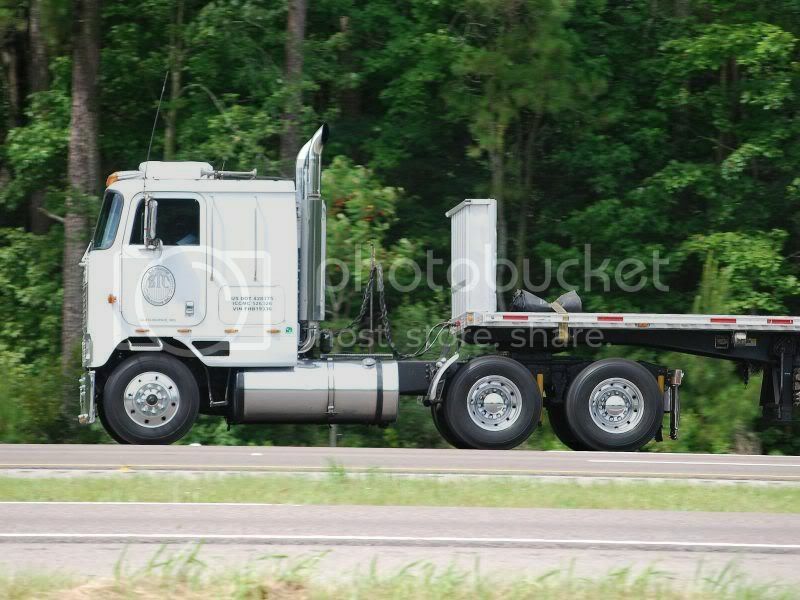 I came upon this old Mack R700 while exploring around an area of North Charleston with alot of trucking and intermodal yards. 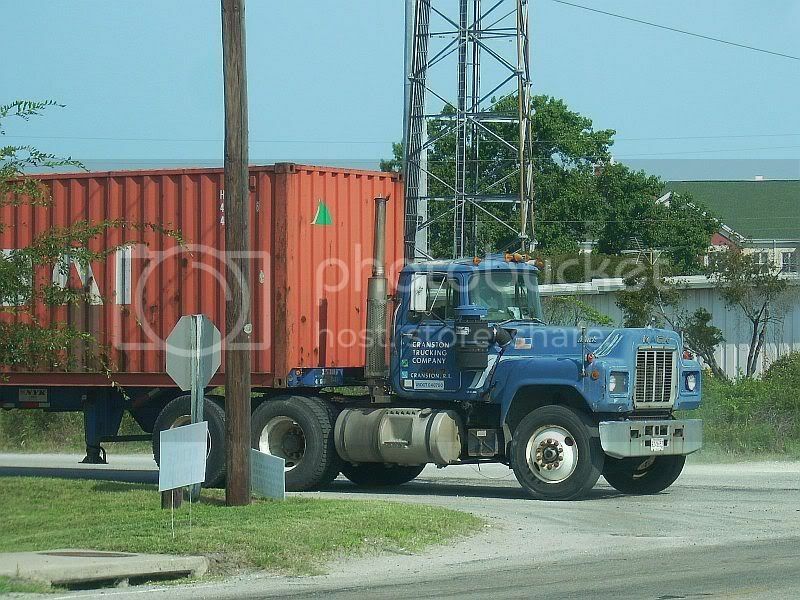 The company on the door is out of Cranston Rhode Island, that would be an amazingly long trip for this old daycab. I cant get enough of those old Co9670's. 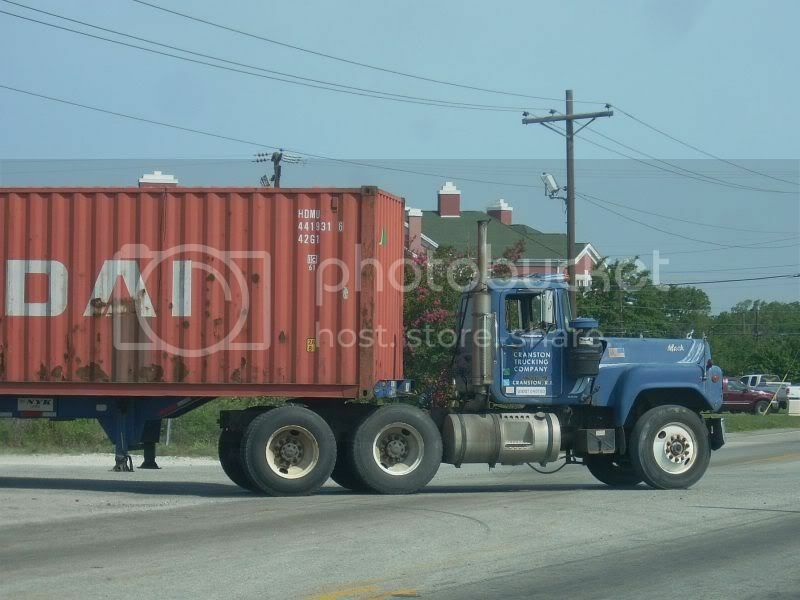 One of those was the first truck I ever rode in. I think what kills it though is that there is no visor. Paul Cranston Trucking is a division of Cranston Printworks out of Cranston, R.I. a huge textile company with plants throughout the country. I believe they are owned by the Rockerfeller family. I love that first IH COE - and its trailer! I agree with Farmallman, though - it would benefit from a visor... :wink: Excellent catch - no, catches! - on it, though!